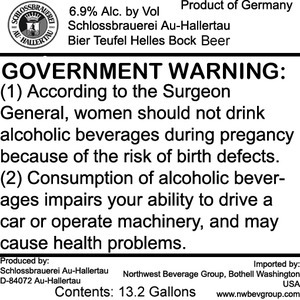 Bier Teufel Helles Bock is imported by Schlossbrauerei Au in Bothell, Washington from Germany. The alcohol content is 6.9%. We first spotted this label on May 28, 2013.